Superintendent Suzanne Cybulla can be reached at scybulla@ecsd.us or by calling the East China School District at 810.676.1018. 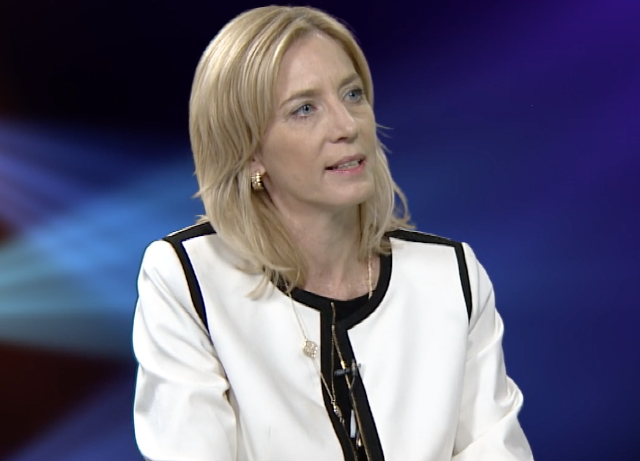 Suzanne Cybulla superintendent of East China Schools talks about what's happening in the district and the special election on May 7th. 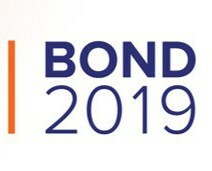 Please review the information posted on our website concerning the upcoming bond election. I have also included links to the bond information, FAQ document and the property tax calculator below. If you are interested in attending a community bond proposal presentation, there is still one presentation left. Please plan to join me on April 25th at 7:00 pm. The presentation is being held at the Immanuel Lutheran Church in St. Clair. 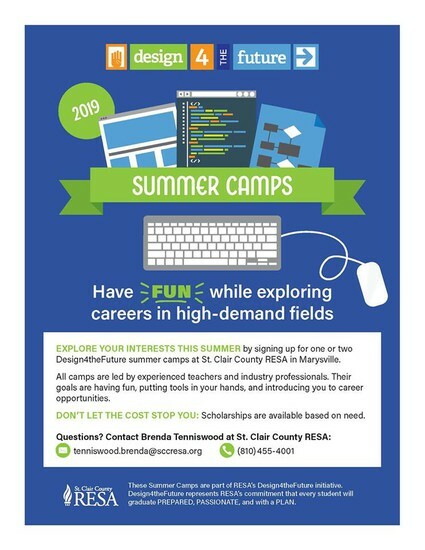 Please feel free to contact me at scybulla@ecsd.us or 810-676-1017. 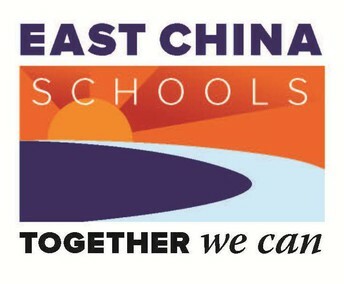 Dave Scheel, Retired Educator, Dee Patasalis, Local Realtor, and Patrick Phelan, former Marine City Commissioner, East China Parent, and Local Engineer discuss the upcoming VOTE on May 7, 2019 for the East China School District. 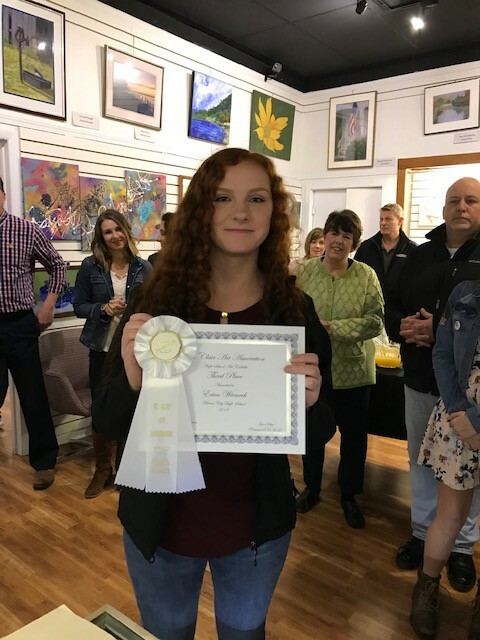 The SCAA Middle and High School Art Exhibit is on at the St. Clair Art Association at the Alice W. Moore Center for the Arts in St. Clair. 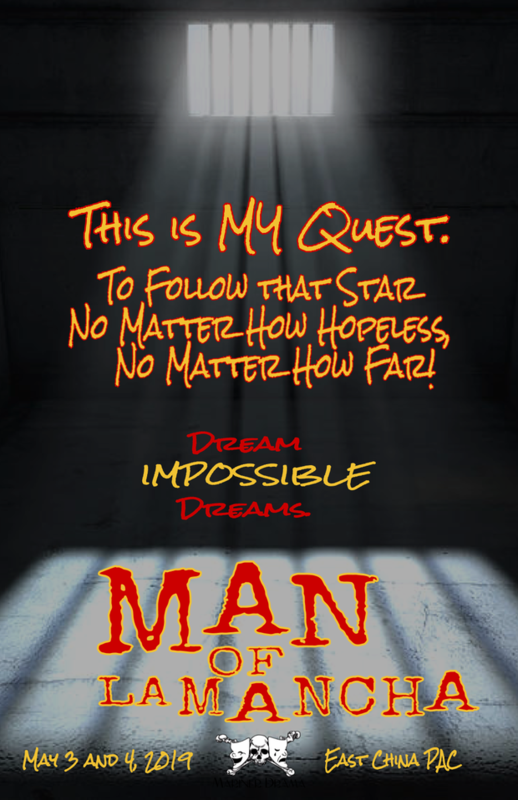 It is running from March 22-April 16th. 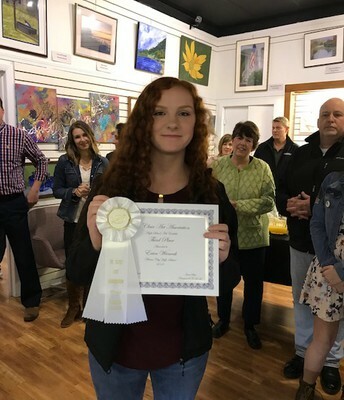 We have several students in the show this year as well as some good awards. 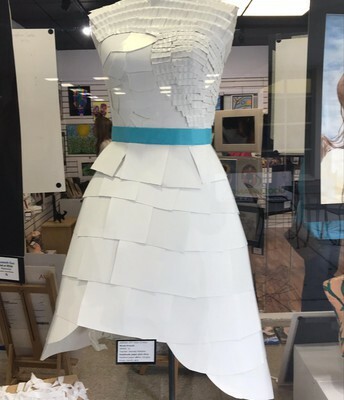 Nicole Kreusel received a 1st place award in the exhibit for her Handmade Paper plate dress. 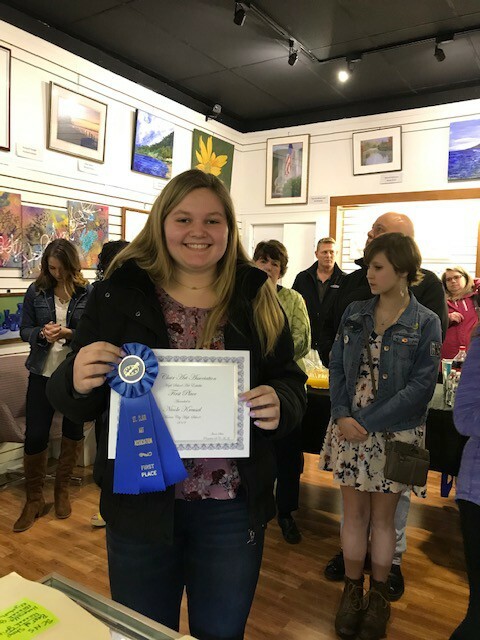 Erica Wiencek received a 3rd place award in the exhibit for her Sculpture. 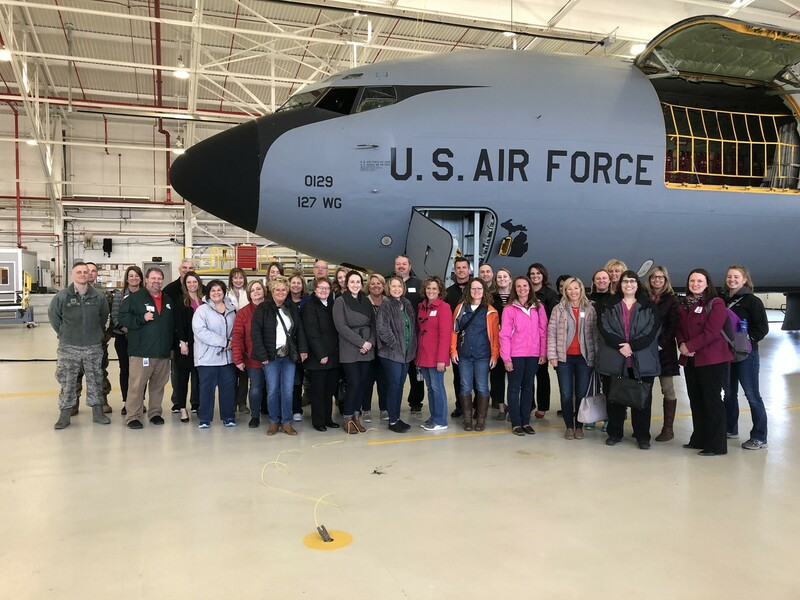 The counselors of St. Clair County recently took a tour of Selfridge Air National Guard Base. All three counselors from the Marine City complex (Kim Henry, Andy Scheel and Tracy Graven) were able to participate in the event. The tour was filled with information about the opportunities available to our students who choose to join the various branches of National Guard. One of the highlights of the tour was a presentation by Brig. Gen. John Slocum, who shared information about our Hometown Air Force. 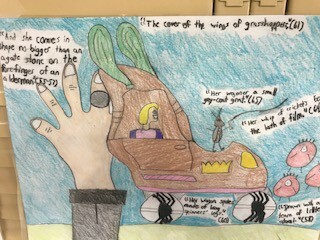 They also learned some of the history of the base as well as heard about the many career fields represented on the base. Some of the career fields were a wildlife biologist, pilots, mechanics and public relations. 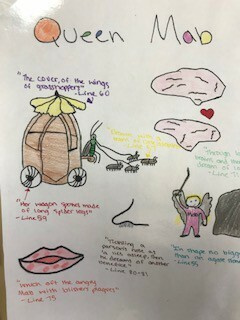 Students are working on reading and understanding Romeo and Juliet in ELA 9. 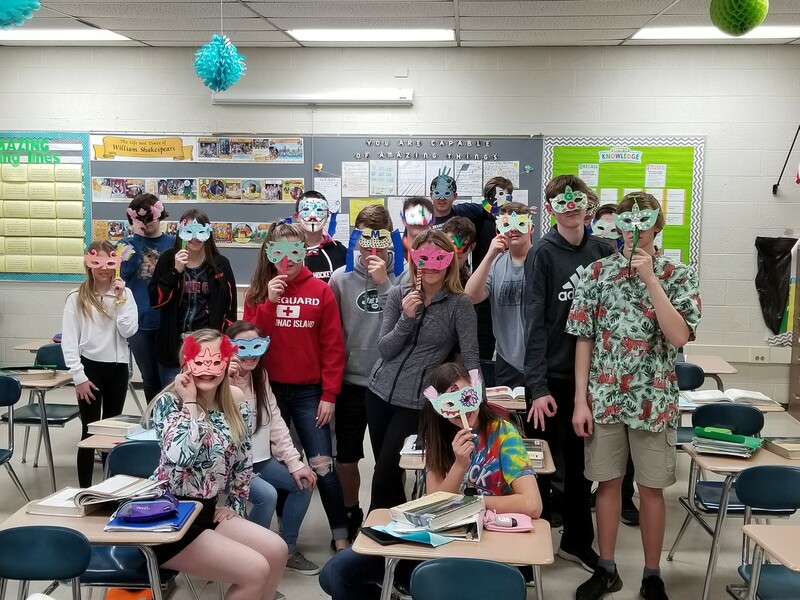 In order to help students understand the nuances of Shakespearean language, the ELA 9 classes have been completing various activities. 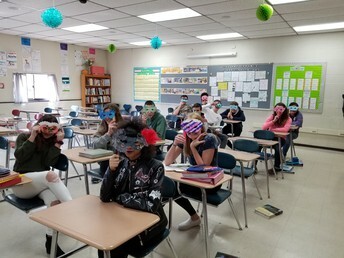 Students created masks after being invited to the Capulet Ball that they donned while reading this portion of the play. 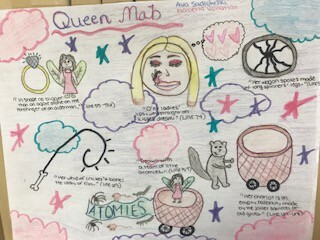 Students also practiced their ability to support their analysis of Shakespearean language with evidence from the text. 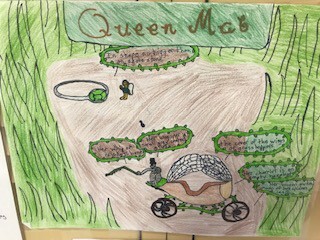 Mercutio’s Queen Mab speech was utilized for this activity. 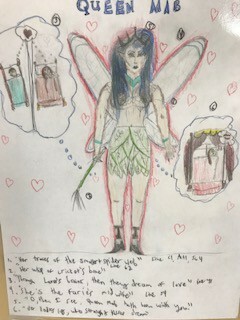 After reading the speech, students had to decipher its meaning and create a picture of the fictitious queen of the fairyland and label six different portions of the drawing with evidence from the text. 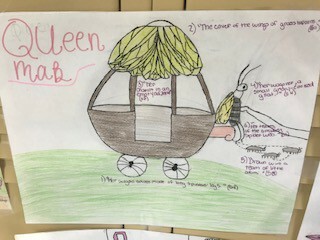 Both activities helped students in their meaning making and became memorable classroom experiences for them. 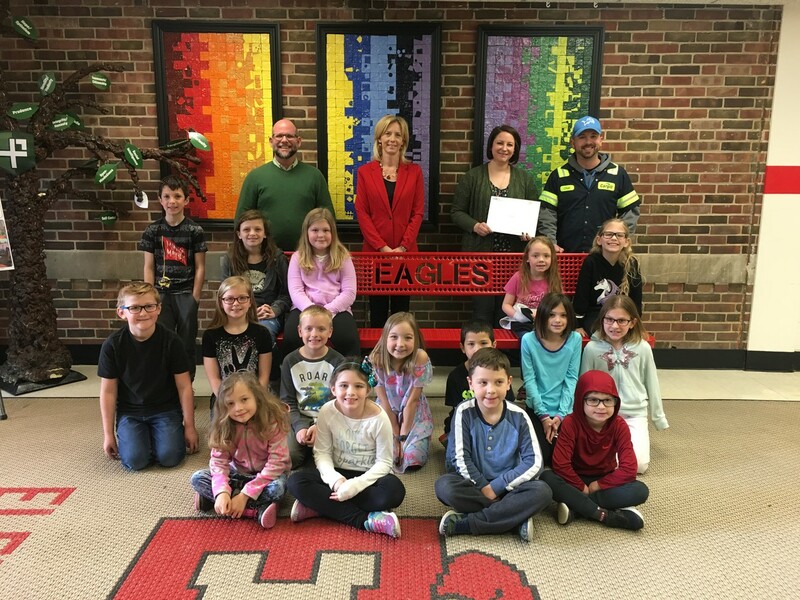 A huge Thank You to Cargill for their generous grant of $7,500 to Eddy Elementary PTO! These funds are designated to complete the PTO’s goal of providing Chromebooks for student use in the classroom. 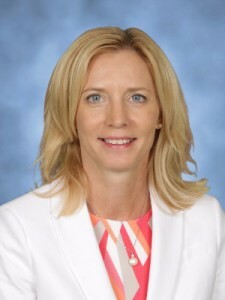 Due to this substantial contribution, the PTO can now provide our Eagles with Chromebooks at a 3:1 ratio!! 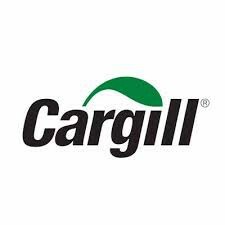 We appreciate Cargill’s commitment to bettering our community. 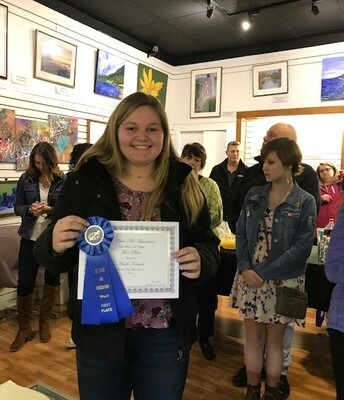 Twenty TEC students brought home medals after competing at the state SkillsUSA Leadership Conference in Grand Rapids the weekend of April 6th. TEC had 73 students compete. Eight gold medalists will go on to represent Michigan at the national SkillsUSA competition. State gold medalists competing in Louisville, KY in June are: Riley Carrier, Elizabeth Ling, Zachary Renno, Ryan Alexander, Carter Spoutz, Scott Pitt, William Hall, and Dustin Cooney. SkillsUSA is a national non-profit organization that sees more than 310,000 high school and college students participate in programs that include skilled trades, technical, and service occupations. 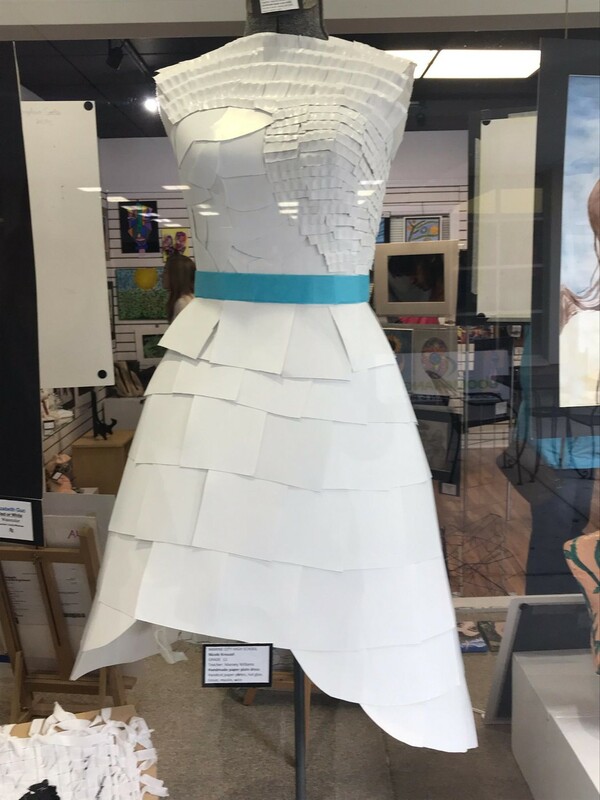 The SkillsUSA competition is an annual event designed to gauge students’ mastery of a variety of career-oriented skills as they prepare for careers in skilled trades, technical and service occupations. 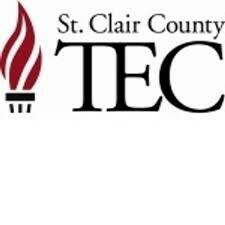 St. Clair County TEC is operated by the St. Clair County Regional Educational Service Agency. 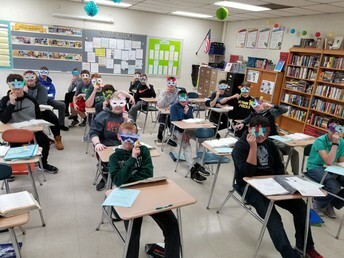 Information about TEC programs is available by calling TEC at (810) 455-1010 or going to its website, www.sctec.org. 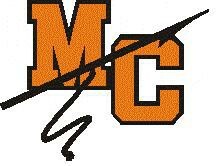 The 2019-20 school calendar is now available on our website. 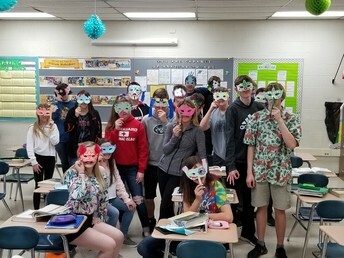 Please click on the link to view the calendar. 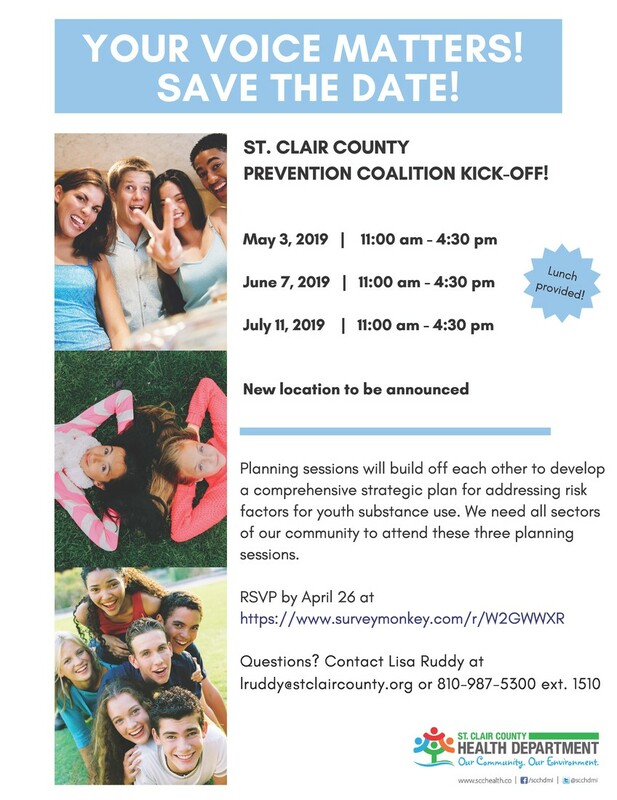 day-long event is designed to offer a wide variety of community supports, information, and resources to individuals and families who are struggling financially, homeless or at-risk of becoming homeless. This is not your average “fair” where participants are sent home with little more than pamphlets or business cards; our vendors will be providing actual services on-site! We will have health screenings, food, clothing, and hygiene product give-a-ways. There will be agencies there to assist participants with housing, utilities, employment, education and so much more! 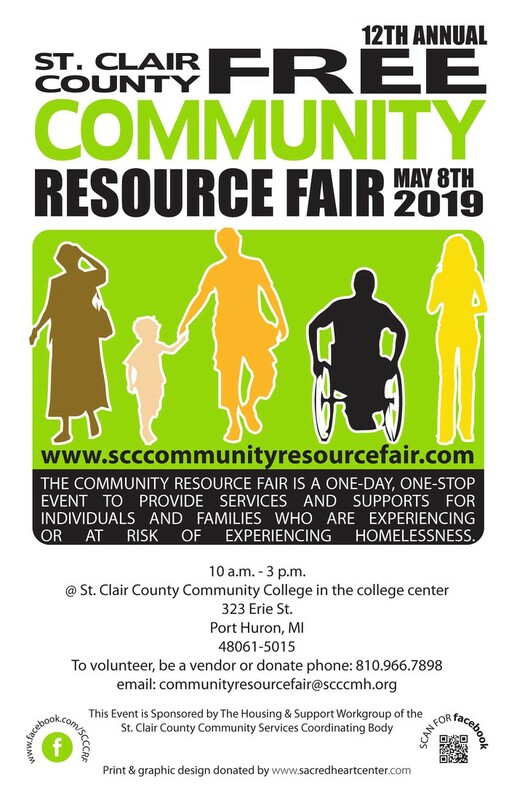 The Community Resource Fair is open to everyone and is absolutely free, including lunch!